Why you should get your popcorn ceilings removed! If your home was built before the 1980s, odds are it still has popcorn ceilings, if it hasn’t already been removed. Popcorn ceilings might have been popular years ago, but they’re widely considered unsightly nowadays. Back then, they were pretty popular, mainly because the material was easy to apply and the it was the more affordable option compared to other ceiling finishes. Other than being unattractive and totally out of style these days, there are plenty of other reasons why you might want to get rid of it. Asbestos is a highly toxic material that has been linked to a form of lung cancer after prolonged exposure. This material is actually fine when it’s left on its own undisturbed. However, if it is allowed to become airborne, that’s where the danger exists. If your home was built in 1978 and earlier, the odds of having asbestos in various components of your home – including your popcorn ceiling – are pretty high. The process of spraying the material that creates the rigid “popcorn” texture involved the application of coatings that contained asbestos. Since you may not know exactly what year your popcorn ceiling was installed, it’s best to err on the side of caution and just assume that your ceiling material contains this hazardous substance. Asbestos can easily become airborne if it is touched, such as when cleaning it. You would be well advised to have a professional assess and test your popcorn ceiling to see if it contains asbestos before you go ahead and start the removal process. 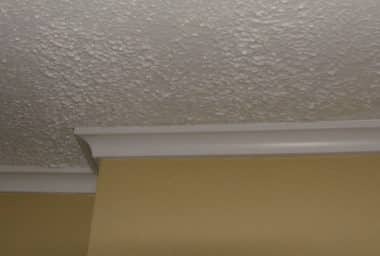 Because of the rigid texture of popcorn ceilings, they tend to be much harder to keep clean. All those little crevices in the texture of the material are traps for dirt, dust, and debris. To keep it clean, you’ll have to manually vacuum the surface as running a cloth over top won’t do much good. That said, vacuuming all that sprayed-on stucco requires a great deal of care because of the potential asbestos that might exist in the material. If you allow any of that asbestos to become airborne, you could be creating a health hazard in your home. Over time, your ceiling may become discolored or stained. In these cases, you may consider painting over top of the ceiling in order to freshen up the surface, just like you would with your walls. The problem is that painting over popcorn ceilings is extremely difficult. 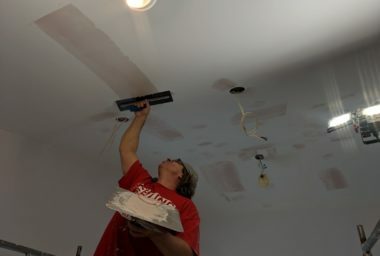 The most common way to paint over popcorn ceilings involves the use of a roller and extension handle; however, a regular paint roller does not have an adequate nap needed to effectively apply paint over every uneven ridge. The only other option would be to paint with a paint brush by hand, which is extremely time-consuming and difficult to do. Since they are unsightly and tough to maintain, popcorn ceilings are no longer considered an asset. Instead, homeowners who still have popcorn ceilings in their homes seek to have them removed in favour of something more attractive and easier to keep clean. 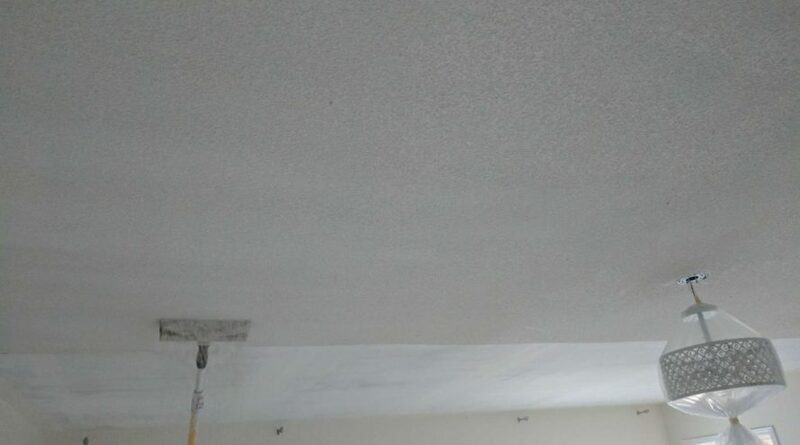 If you’re ready to have your popcorn ceiling removed, be sure to contact professionals in popcorn ceiling removal to have this job done properly and safely. The Ceiling Specialists are experienced in all types of stucco ceiling removal and are your go-to source for this highly specialized job. 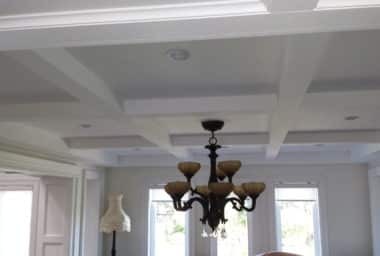 Contact The Ceiling Specialists today!